How a couple of cows explain a changing region: equal opportunity offender edition. Over the years, the parables gradually expanded, using the two-cow joke to explain everything from French unions (You have two cows. 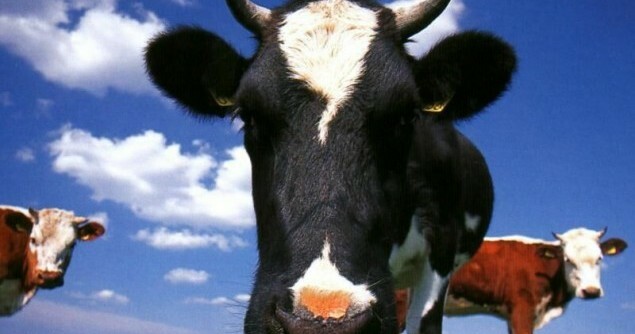 You go on strike because you want three cows.) to the Republican Party (You have two cows. Your neighbor has none. So what?). While in its original iteration the cows were a metaphor for currency, capital, and property, they later began to take on different meanings. Today, the Middle East has replaced the Cold War as America’s primary foreign-policy preoccupation. As opposed to the seemingly ideologically homogenous communist bloc, however, the 22 diverse countries that compose the modern Middle East are still confusing to most Americans. Why can’t the Israeli and Palestinians stop fighting already? What’s the difference between Libya and Lebanon again? Herewith then is a satirical effort to simplify the essence of Middle Eastern governments so that, in the immortal words of George W. Bush, “the boys in Lubbock” can read it. And, rather than symbolizing property, the cows here symbolize people, which — funny enough — is how most Middle Eastern regimes have traditionally viewed their populations. You have two cows with endless reserves of milk. Gorge them with grass, prevent them from interacting with bulls, and import South Asians to milk them. You have two cows. You interrogate them until they concede they are Zionist agents. You send their milk to southern Lebanon and Gaza, or render it into highly enriched cream. International sanctions prevent your milk from being bought on the open market. You have five cows, one of whom is an Alawite. Feed the Alawite cow well; beat the non-Alawite cows. Use the milk to finance your wife’s shopping sprees in London. You have two cows. Syria claims ownership over them. You take them abroad and start successful cattle farms in Africa, Australia, and Latin America. You send the proceeds back home so your relatives can afford cosmetic surgery and Mercedes-Benzes. You have no cows. During breaks from milking on the teat of the Iranian cow you call for Israel’s annihilation. You have three cows: one Sunni, one Shiite, and one Kurd. The first is milked by Saudi Arabia, the second by Iran, and the third smuggles its milk abroad. The United States picks up the manure. You have three cows: two Shiites and one Sunni. Invite Saudi Arabia to come kill a Shiite cow and import another Sunni cow. You have two cows. Feed them khat instead of grass and neglect to milk them. Watch them fight each other. You have 10 cows. Neglect to tend to them, but prevent them from fighting Israel in order to get milk from America. You have 10 cows who think they now own the farm. There’s still no milk. You have two cows. Beat them regularly and use the milk money for your wife’s shopping sprees in Paris. When the cows revolt, retire to Saudi Arabia. You have two cows. You wish they were camels. Feed them only your words of wisdom and kill them if they dare moo. You have one cow that has hundreds of udders. You use the limitless milk money to set up a television channel that broadcasts the other cows in the region being milked (except Saudi Arabia’s). You have two cows. You bring in Filipino nannies, South Asian laborers, and Russian prostitutes to make sure they’re well taken care of. Sell the milk to build the world’s biggest shopping mall. You have one cow, surrounded by wolves. Pretend that it’s a magic cow that has the power to pacify wild animals, and then ask America for milk. You had two cows that were lost decades ago. Lament them. You have two bulls. Pretend they are helpless calves.